This book was absolutely amazing. The movie doesn't do this book any justice the book was way better. James Patterson kept me wanting more I truly didn't want to book to end. Narration of the book was on point Charles Turner is a great reader. This book will be recommended to my family and friends. This book made me fall in love with James Patterson! Absolutely loved this book and got me hooked on the series right from the get go! 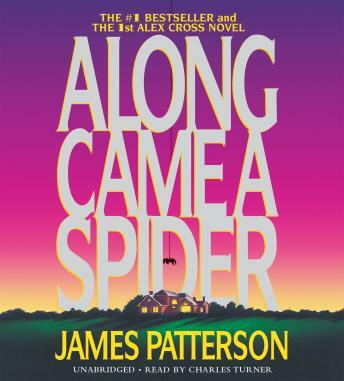 Alex Cross is by far one of my favorite murder mystery characters! Love this series! Every book is a page turner! If not a little preposterous at times, the book gives you a great mystery with a fantastic twist. I can't wait to continue the series! I love all the Alex Cross novels and Charles Turner sounds exactly like what I imagine Alex Cross would sound like! Well written and well read. Introduction of a great character and wonderful series! This book was well written! Want to listen to it again and again!